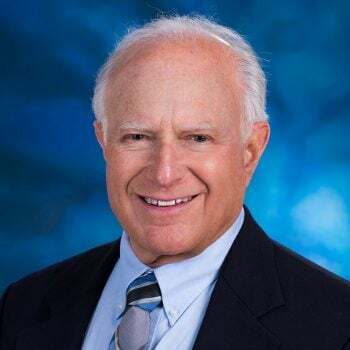 Dr. David Grekin is a board-certified dermatologist with over 40 years diagnosing and treating a wide variety of skin concerns including rashes, skin lesions, eczema, psoriasis, rosacea, acne and more. He also provides annual skin examinations for the prevention and early diagnosis of skin cancer. Dr. Grekin comes from a long line of dermatologists including a father, uncle, two brothers, and niece who all are, or were, practicing dermatologists. He also previously was a professor of dermatology at the University of North Carolina and the University of Wisconsin. It is extremely rewarding to get to know my patients, build a relationship with them, solve their problems and ultimately make them feel better. Grekin, D.A., Van Scott, E.J. “Dermal Role and Controls of Psoriasis.” Archives of Dermatology 108:425, 1973. Van Scott, E.J., Grekin, D.A. “Topical Use of Nitrogen Mustard in the Treatment of Mycosis Fungoides.” Current Dermatologic Management, C.V. Mosby, St. Louis, 1975. Vonderheid, E.C., Van Scott, E.J., Johnson, W.C., Grekin, D.A., Asbell, S. “Topical Chemotherapy and Immunotherapy of Mycosis Fungoides.” Archives of Dermatology 113:454, 1977. Zackheim, H., Epstein, E. Jr., Grekin, D. “Mycosis Fungoides.” Journal of Continuing Medical Education in Dermatology, March 1978. Zackheim, H., Epstein, E. Jr., Grekin, D. “Treatment of Mycosis Fungoides with Topical BCNU.” Journal of Investigative Dermatology 71:278, 1978. Zackheim, H., Epstein, E. Jr., Grekin, D. “Treatment of Mycosis Fungoides with Topical BCNU.” Cancer Treatment Reports 63:623, 1979. Epstein, J.H., Grekin, D.A. “Topical Retinoic Acid and Ultraviolet Carcinogenesis.” Journal of Investigative Dermatology 72:272, 1979. Epstein, J.H., Grekin, D.A. “Vitamin A Acid (Tretinoin) and Acute UVB Responses Book of Abstracts, p. 122, 7th Annual Meeting, American Society of Photobiology, June 24-28, 1979. Grekin, D., Zackheim, H., Epstein, E. Jr. “Topical Chemotherapy of Mycosis Fungoides.” Cutis 24:543, 1979. Grekin, D.A., Maibach, H.I. “Treatment of Psoriasis.” Medical Times 108:18, 1980. Grekin, D.A., Zackheim, H.S. “Mycosis Fungoides.” Medical Clinics of North America 64:1005, 1980. Epstein, J.H., Grekin, D.A. “Nitrogen Mustard and Acute UVB Responses.” Book of Abstracts, 8th International Congress on Photobiology, July 20-25. 1980. Epstein, J.H., Grekin, D.A. “Inhibition of Ultraviolet Induced Carcinogenesis by All Trans Retinoic Acid.” Journal of Investigative Dermatology 76:178, 1981. Grekin, D.A., Epstein, J.H. “Psoralens, UVA (PUVA) and Photocarcinogenesis.” Photochem Photobiology 33:957-960, 1981. Zackheim, H., Epstein, E., Grekin, D., McNutt, S. “Mycosis Fungoides Presenting as Areas of Hypopigmentation: A Report.” Journal of the American Academy of Dermatology 6:340-345, 1982. Zackheim, H.S., Maibach, H.I., Grekin, D.A., “Thioguanine for Psoriasis.” Psoriasis Proc Third Int. Symposium, Farber, E.M., Cox, A.J., eds., Grune & Stratton, New York, 1982:405. Zackheim, H.S., Lebo, C.F., Wasserstein, P., McNutt, S.N., Epstein, E.H., Meyler, S., Rosenbaum, E.H., Grekin, D.A. “Mycosis Funcoides of the Mastoid, Middle Ear, and CNS: Literature.” Archives of Dermatology 119:311-318, 1983. Zackheim, H.S., Epstein, E.H., McNutt, S.N., Grekin, D.A., Crain, W.R., “Topical Carmustine (BCNU) for Mycosis Fungoides and Related Disorders: A Ten Year Experience.” Journal of the American Academy of Dermatology 9:363-374, 1983. Epstein, J.H., Grekin, D.A., “Effects of Benzoyl Peroxide and Croton Oil on Ultraviolet Induced Epidermal Proliferation.” Book of Abstracts, 9th International Congress on Photobiology,Philadelphia, PA, July 1-6, 1984.